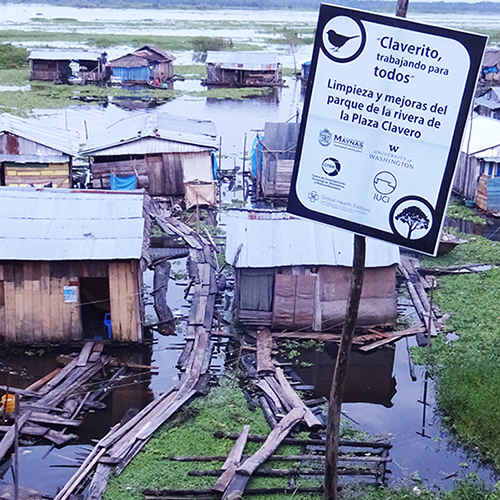 An interdisciplinary team of researchers is working to improve the health and living conditions of an impoverished floating community in the Peruvian Amazon by drawing on the expertise of researchers from six different University of Washington departments. From cleaning contaminated water to improving food security, the researchers are implementing innovative interventions to enhance both the built and natural environments in the village. They will measure their success based on the “before and after” health of village members and hope to ultimately share what they learn with other communities. This project was previously supported by a Population Health Initiative pilot research grant.